In a Nutshell: Ken Tate couldn’t have foreseen the strong partnership on the horizon when he helped North Carolina’s Department of Commerce recruit Fidelity Investments to the state. Tate, the Director of External Relations for the Department of Computer Science at North Carolina State University, works closely with the investment firm to coordinate the ongoing Fidelity Investments Leadership in Technology Speaker Series, which the college hosts three times each semester. The series provides students of all disciplines, as well as the extended university and business community, exposure to the unique world of leadership in technology. Tate curates the talks and chooses from the foremost speakers in their respective industries. I grew up with an insatiable appetite for learning about financial markets. Experts like Warren Buffett, Burton Malkiel, and Benjamin Graham, through their books, felt like personal friends of mine who built the foundation of my lifelong passion for finance. While attending college, I was lucky enough to hear talks hosted by many of the experts whose accomplishments I had read about as a youngster. I learned during those moments that, no matter how many books you read, you can’t top the experience of a live lesson. University campuses across the country host speakers on various topics each year, giving students and faculty a chance to mix with executives and insiders in various industries. 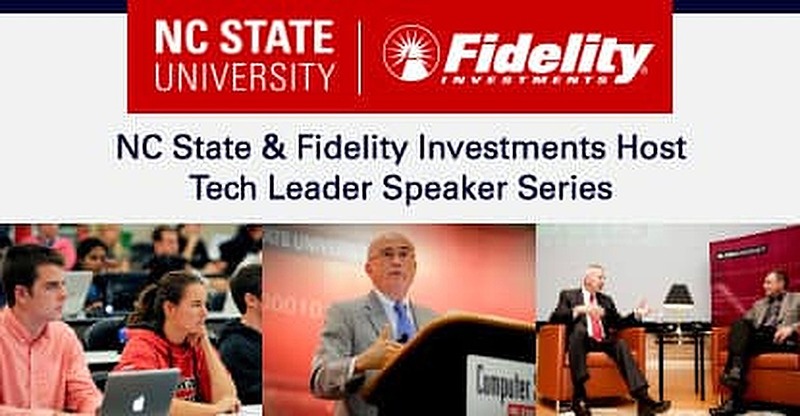 One of the longest-running series is the Fidelity Investments Leadership in Technology Speaker Series created through a partnership with Fidelity and the Department of Computer Science at North Carolina State University. Ken Tate, Director of External Relations for the department, founded the free public series in 2007 after students rated his then-defunct Leadership in Technology seminar series higher than any other course in the department. While Tate was working with the North Carolina Department of Commerce to help recruit Fidelity Investments to the state, both sides found they had a common interest in building a deeper pool of computer science talent. The Fidelity Investments Leadership in Technology Speakers Series provides NC State students with a chance to learn from executives and innovators from around the globe. The series’ 2007 launch coincided with the computer science department’s 40th anniversary. Tate personally chooses the three speakers each semester either by word of mouth or by attending talks at other locations the speakers host. Previous guests have included Dr. Maria Klawe, President at Harvey Mudd College, and Jim Goodnight, Co-Founder and CEO of SAS Institute. 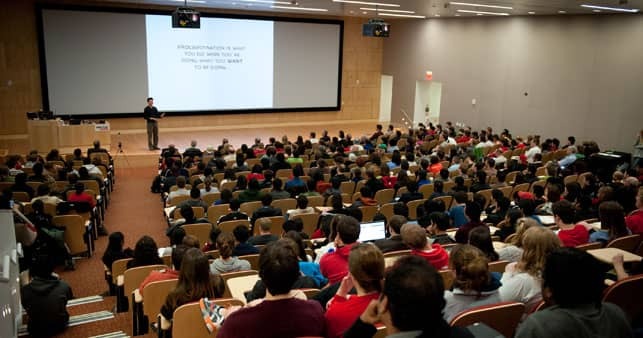 The one-hour talks are typically hosted in the Computer Science Department’s 160-seat lecture hall, though some speeches require a move to the 400-seat auditorium at the school’s James B. Hunt Jr. Library. 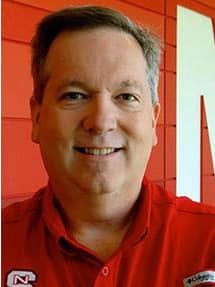 Ken Tate is Director of External Relations at NC State’s Department of Computer Science. Regardless of the location, all talks conclude with an open reception where speakers mingle with students, faculty, and community members and answer questions not asked during the Q&A session that ends each talk. Those receptions are an opportunity for students and the local community to make connections that can lead to future possibilities and learning experiences. Tate pointed to a 2014 talk by NetApp Vice Chairman Tom Mendoza as a turning point for many students who attended. Mendoza told the attendees that he always responds to emails he receives from employees and vowed to do the same for any student who were to contact him after the talk. Tate’s travels often put him in the company of some of the world’s greatest speakers, many of whom eventually end up on the NC State campus in Raleigh, North Carolina, in front of the university’s student body. Tate said the list he keeps has tightened up over the years as the series grows in popularity and demand increases for top-level guests. A good partner is needed to maintain such lofty standards, which the college has found in Fidelity Investments. For students, college is a time to grow and explore and learn things that will make life easier once they enter the working world. NC State students have the good fortune of having regular access to business and technology leaders who, through the Fidelity Investments Leadership in Technology Speaker Series, share their knowledge, experiences, and ideas for the future. The NC State Department of Computer Science hosts, films, and archives each free community speech on its YouTube page with permission from each speaker. With help from Fidelity, those videos look better than ever. The partnership between Fidelity and NC State has provided 11 years of speeches that have informed and inspired students to improve their leadership skills. That knowledge is greater than anything that can be obtained from a book and, if Tate has his way, will help create the next generation of American leaders in technology, business, and beyond.